According to Steve Krub (@skrug), the average person spends only seconds scanning a web-page before deciding to stay or move on. Rather than closely reading all the skillfully written text, visitors scan very quickly, mainly for keywords or phrases that match their current tasks or interests. This is similar to the way human-to-human interactions formulate first impressions of each other. When a potential customer finds their way to your business-page, what kind of messaging will they find there that is most likely to result in the best possible first impression your brand? Does your brand messaging convey a clear and compelling story that is resonant and relatable? Does your call to action leave would-be customers feeling as though they are being pursued respectfully or does your messaging move inappropriately fast for an introductory encounter? Crafting your brand messaging based on storytelling principles while developing your marketing sequence based on well understood stages of relationship-building may provide a predictable and science-based approach for turning visitors into loyal customers. a character, usually the hero of the story (your customer), who wants or needs something but encounters some impediment (villain) that blocks the hero from getting it. At the critical moment of hopelessness, a guide (your brand) steps forward and provides them with a plan, and calls them to action. This action helps the hero to avoid failure and typically ends in the hero succeeding. Significantly, story branding involves representing your brand as a trusted guide who has a plan that can be used by the hero-customer to solve their problem in a transformational happy-ending fashion. This differs significantly from marketing approaches that conceive of the brand, and not the customer, as the hero. Positioning your brand as guide allows you to take on the role of trusted and astute attendant. Customers aren’t looking for a hero. Rather, they’re looking for a guide who has a fool-proof plan they can immediately utilize. This is the guides’ call to action. Miller states that you must believe in your product enough to directly ask for a sale (call to action). If you do not, your potential customer-hero may lose faith in the ability of the guide-brand to lead them to success. Despite the very brief window that your webpage has in which to convey your company’s story brand, you must strike a balance between being too forward and too aloof. Winning over a new customer, much as attracting a romantic partner, benefits from understanding that all relationships pass through various stages or phases on the way to becoming fully realized. Ryan Diess (@ryandeiss) refers to these stages as The Customer Value Journey (CVJ). Following Diess, you want to sequence your marketing and offerings such that it is neither too forward, as in meeting someone for the first time and blurting, “hi, want to get married?” nor so ambiguous that you never actually ask for that first coffee date. To really understand how prospects become customers, Diess suggests studying the various stages of (human) intimacy and overlaying these insights onto business relationships. Selling your brand to someone new, is similar to traversing the path of human intimacy with the task of marketers being “to move prospects and customers seamlessly and subtly through each phase of the customer value journey.” The CVJ is the sequential movement through the following eight stages: awareness, engagement, subscription, conversion, excitement, ascension, advocation and promotion. (1) Awareness is often realized through advertisements, referrals, or word-of-mouth. (2) Engagement refers to capturing attention through content, usually in the form of information or entertainment. (It is at the engagement phase we should employ the StoryBrand framework.) (3) Subscription relates to obtaining contact information through such activities as registration details gathered for a webinar, mini-class, report/study, or newsletter and the like. (4) Conversion refers to the instance wherein the business relationship changes or escalates from passive to active either through the commitment of time or money, such as when a prospect makes a small purchase. (5) Excitement is when the customer receives genuine value from an initial transaction with your brand. (6) Ascension occurs when the customer purchases the brand’s core offer and may then be receptive to upsells. (7) Advocation happens when customers say nice things about the brand, perhaps on social media. (8) Promotion refers to satisfied customers telling friends and others about your brand. Deiss suggests that the customer may skip past one or even a couple stages of the CVJ; however, the customer should generally move sequentially through most of these stages. The speed through which a person moves through the various stages of the CVJ is not necessarily a determinant of success, rather success is more predictive if a potential customer proceeds systematically from step-to-step. Sequencing your marketing to strike a balance between coming on too strong or too weak, in combination with scripting a blockbuster story-brand that positions your brand as valued guide and customer-as-hero provides a powerful marketing strategy to increase the likelihood that potential clients become loyal customers. A clothing retailer at Tokyo’s airport now features MarionetteBots in their storefront. The MarionetteBot is part mannequin and part robot. Using Kinect technology, wires and motors, the Bots are able to mimic the body movements of passersby. Far from eliciting the uncanny and uncomfortable responses (roboticists refer to this as the uncanny valley) from the public, people featured here seem very willing to engage with the MarionetteBot and seem to regard them as pleasurable and entertaining. Perhaps it is the conscious use of marionette string that provides a bit of comfort against the sudden animation of the MarionetteBot. Very clever and charming, I see this as yet another small encroachment of robotics into daily life. This video also reminds me the 1987 film, Mannequin (Kim Cattrell) as well as the more recent Lars and the Real Girl (2007) with its emphasis on the fantasy of high fashion and aesthetic beauty. The advertising agency who conceived of the MarionetteBots is TBWA Haduhodo and the Marionettes were created by Shoichiro Matsuoka. Steve Mann, is generally considered to be the pioneer of wearable camera technology and coined the term “sousveillance” to describe individually controlled camera intended to subvert wide-spread institutional surveillance. Over time however, personal recording devices intended to be used to resist institutional surveillance has given way to recording devices being used as consumer products. Ubiquitous facebooking, tweeting, and instagraming of the endless selfie, foodie or baby moments are indicators of a culture engaging in sometimes hourly, daily or weekly documenting and archiving of daily life. In some ways the constant stream of Flickr images, blog posts, and pic-twits are merely the updated versions of the analog photo album, journal and scrapbook. This practice is increasingly supported by technologies that seem to facilitate the continuous capturing, documenting, and archiving of daily life. Lifelogging, as it sometimes referred to, involves the wearing of certain types of technology in order to capture all or large portions of the wearers’ life. Mark Krynsky provides an extensive list here of the many many tools that may be used engage in lifelogging. 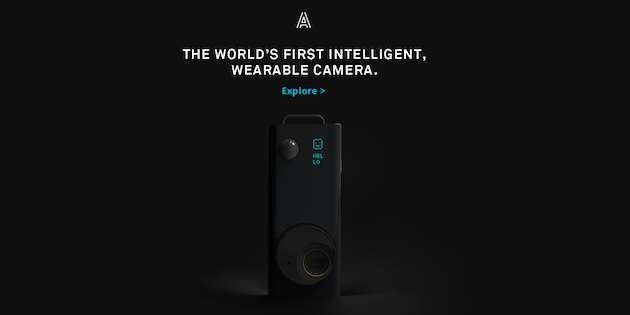 to continuously (i.e., every 30 seconds with the Narrative Clip) and automatically captures images unfolding around them as they move through their everyday lives. Lifelogging may also involve the collecting of information related to the body, such as sleep patterns, physical activity, weight management and even the quality of day to day moods cross referenced with activity. Samsung’s Gear Fit, Fitbit and Mood Panda are technologies that aim to collect body related data. Reviews of these products suggest that such devices, while convenient and responsive, tend to raise complex issues related to privacy and disclosure and at times made both the wearer and the device subjects uncomfortable. For example, it is possible to wear such devices in such a way that people around you are not aware that they are being recorded. However, peers, colleagues and friends may feel that their privacy is being intruded upon. Lifelogging promises to help us preserve important personal memories; increase our ability to remember things both in the short-term and the long-term; and aid in the scientific exploration of the connection between memory and well-being. This said, such technologies push important ethical and legal issues to the fore. With respect to the law, while it is permissible to take photos and videos in public spaces for personal use in many countries, these laws tend to vary by place. However, even though something may be technically legal, this does not make it socially appropriate or ethical. For instance, many people feel uncomfortable being openly recorded with such devices as Google Glass (think: “Glasshole”). Such technologies have the potential to shift our present understanding of what is regarded as socially acceptable uses of ubiquitous recording devices and will force us to balance our right to privacy and our strong desire to preserve our precious memories. Femtech, or women’s health products, are often seen as a niche market – which is peculiar, as half of the world’s population are women. How about someone saying that fashion for women is globally recognized only as a niche market? What is femtech and what does the future look like for female technology? The role of influencers on social media. 8 Ways to Get Your Social Posts Noticed!